Cadillacs are great vehicles, but even the best cars can suffer dings and dents that take away from their appearance. At EZ Dent, we know that you’re looking for a fast, appropriate way to make your car look good again – and that’s exactly what we specialize in. Paintless Dent Repair, or PDR, is a process where special tools are used to get the metal back into place. Unlike other repair methods, PDR focuses on working the metal from behind so there are no negative effects on your original paint job. In addition to the outstanding result, PDR is faster and less expensive than taking your Cadillac into a traditional full-service body shop. How fast can you fix my vehicle? Most repairs can be done in less than one hour. Particularly severe cases, like multiple large dents on different parts of your vehicle, may take longer. Can I expect insurance to cover your repairs? Our service is so affordable that you’re probably not going to meet your deductible – as a result, your insurance isn’t likely to get involved unless you have extensive damage to your vehicle. If you’re not sure which category you fall into, our technicians can advise you once we see the damage. *Disclaimer – EZ Dent is not affiliated with Cadillac or authorized Cadillac dealerships. 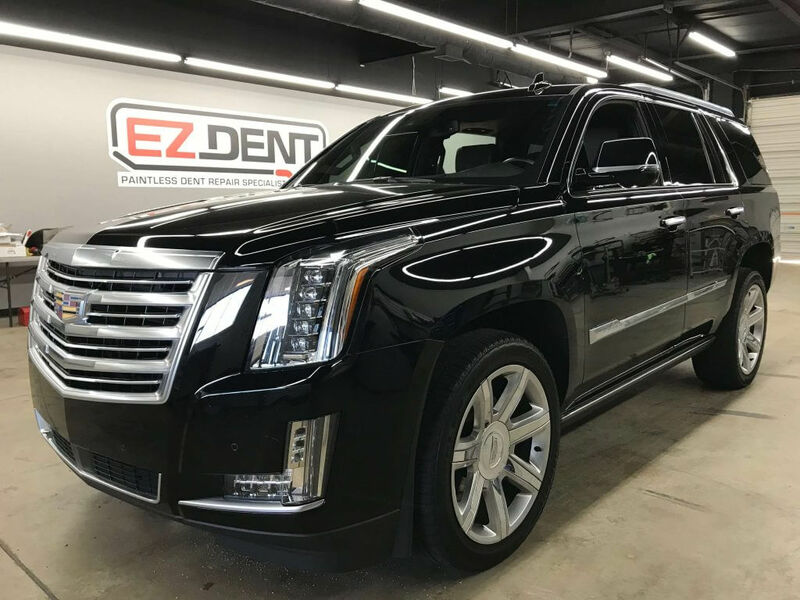 To get more information or to schedule an appointment to fix your Cadillac, contact EZ Dent today.